Summon sensational sparkle with the Kate Spade New York® Set in Stone Hinged Bangle. 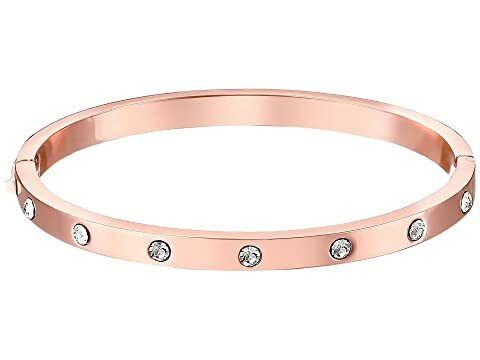 We can't currently find any similar items for the Set in Stone Hinged Bangle by Kate Spade New York. Sorry! Great for small wrists! Great quality and super cute for work. So pretty! I bought all 3 colors. Only complaint is they come off very easily! Be so careful! Every time I have worn them they have opened at the clasp and fallen off. I usually catch it however I did lose one while out shopping. I like them so much I repurchased it. I should not have repurchase it but they really are so cute.